Asbestos is a mineral that was once commonly used in construction and manufacturing due to its fire retardant properties. However, inhaling small particles of asbestos can cause mesothelioma, a rare and fatal form of lung cancer. Since mesothelioma may take decades to develop, many victims may not know when exactly their asbestos exposure occurred or how to file a lawsuit. 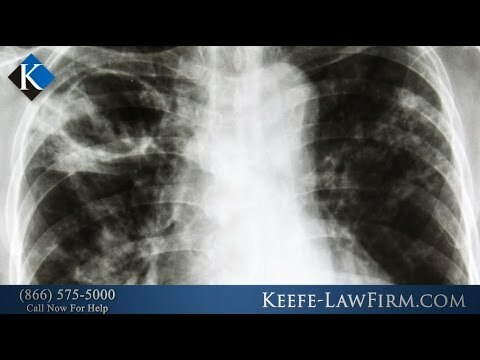 The mesothelioma attorneys at Keefe Law Firm can investigate your diagnosis and determine all liable parties. Then, we can represent your claim to ensure you and your family get the full amount of compensation you deserve. In the following videos, our attorneys discuss common questions concerning mesothelioma lawsuits. We have a history of obtaining multi-million dollar verdicts and settlements for asbestos exposure victims nationwide. If you or a loved one received a mesothelioma diagnosis, then call our law firm today. We have offices throughout New Jersey, including in Red Bank, New Brunswick, Newark and Point Pleasant. If you cannot travel to meet us, then we will meet you at your home or wherever is convenient. Contact us today to schedule your free initial consultation. Are Asbestos Exposure Cases Still Happening?